When your house is listed, it's important to diligently clean up pet messes. 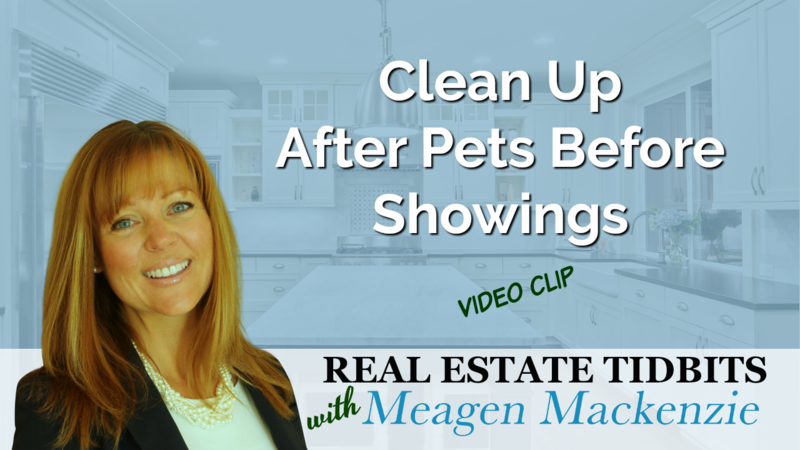 Sometimes you get a last minute showing, which may not allow enough time to clean up the dog messes in the yard or change the cat litter. Furthermore, messes that aren't changed frequently can smell, which is a real turn off to potential home buyers. You want home buyers to be so impressed that you can manage to keep your house so clean in spite of having pets.